Supply chain risk management is more than a helpful addition to your operations—it is essential to your success in events like natural disasters, unpaid bills, transport disruptions, etc. The purpose of risk management is to prevent issues and provide loss mitigation if risk events do occur. Whether you have no risk management system, a poor risk management system, or a limited risk management system, here’s what you need to know about the benefits of this addition and how it will transform your supply chain for the best. More businesses are realizing that risk management creates a strategic competitive advantage and promotes an agile supply chain that works better than ever before. With supply chain risk management, you will be able to outperform your competitors and boost market share when a common risk occurs. You will also be able to reduce uncertainty and strengthen relationships and trust with your prospects. Risk management also continuously detects, optimizes, and reduces risk exposure and cost. Risk management is key in eliminating waste and stimulating other best practices within the supply chain. Wasting resources can add risk to the organization and supply chain, so by planning ahead with a good risk management system, materials can be repurposed to avoid waste. Preventing a crisis can be done through proper communication. 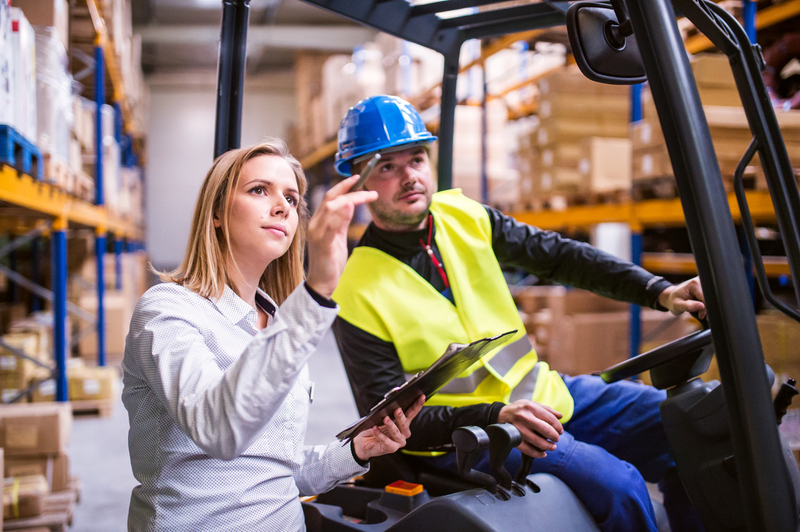 Since 3PL providers integrate technology and management software, visibility and communication are enhanced to keep everyone aware of the flow of materials and products. Risk management can help you reduce the complexity of a problem and prevent problems altogether. For example, it begins by identifying what risks might prevent you from getting your products to your customers on time, understanding how badly each risk would hurt your operations, and finding quick solutions to manage the situation. Risks vary from business to business but by considering the worst-case scenario for each situation, solutions can be brought to light in the event they should occur. That way, when risks present themselves, you can continue to run your operations smoothly, without going into panic mode. A 3PL can help you with this, as they have systems in place to ensure everything runs smoothly and that you’re aware of potential risks. Maintaining the delivery of essential goods and services and preventing issues before they occur is a lot of work. It takes time and energy to constantly monitor operations to ensure everything is working at optimum potential. As global markets increase and the supply chain becomes more complex, the need for risk management is stronger than ever. Lean Supply Solutions can help you if you are looking for a 3PL company with the latest technology and risk management solutions. We make ourselves aware of the rising trends in the logistics industry and always strive to stay up to date. We commit to being aware of our clients’ operational challenges as they arise and help them get the most out of their supply chain processes. We also monitor operations 24/7 to seek out risky situations and prevent them from occurring. Our 3PL, packaging, and supply chain management can streamline your processes for better success, and by striving to ensure that the right products are provided to the right customers at the right time, we can offer consistent, accurate, and quality results. To learn more about outsourcing to our 3PL distribution team, or to ask any questions, contact us today! An Enterprise Resource Planning Software (ERP) system integrates and runs all aspects of your business, from tracing raw materials, supply chain management, financial controls, and more. This system allows you to identify where resources are being wasted, eliminate inefficiencies, improve customer relations, and enable live collaboration. Running your manufacturing process using an ERP system will transform the way you manage your business. Here are some tips on how you can make the most of your ERP system. Having a plan is only part of your success as a business—the rest depends on your team’s ability to execute that plan. If everyone in your business understands and works to your objectives, you’ll start seeing the profit. A quality ERP system can translate boardroom ideas into actionable directives using one platform. You will be able to see all your operational planning from one place, so making decisions will be easier than ever. 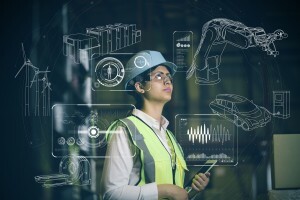 While manufacturers are another option, an ERP system works much faster as it is not limited by manual or legacy reporting tools. It closes the loop to allow constant efficiency by including analytics from big data, which can be used to inform and feed back into your strategy. By implementing real-time big data through this system, you can cut out inefficient manual reporting and reduce the time it takes to receive and use vital information. Do you want to improve transparency between your manufacturer and their suppliers, while also giving your customers better visibility as they await new products and deliveries? An ERP system can help when you integrate it with your supply chain management. It allows you to track order status, define specifics about items, have clarity that can prevent costly mistakes and penalties, and much more. Additionally, automation eliminates a huge factor in quality issues—human error. As a result, you’re free to focus on more exciting parts of your job, like customer relationships, sales, marketing, and brainstorming new projects. Materials management and product inventory are two sides of inventory management. The first part deals with ensuring your organization has the right materials to complete the manufacturing process. The second part deals with the products created through the manufacturing process, and how they are delivered to customers. If both parts do not work in harmony, you will face many challenges including difficulty gaining the appropriate materials on time, incorrect product levels, and challenges with satisfying orders. An ERP system allows optimum visibility of processes such as billing of materials, tracking materials, and inventory management. Issues in these areas are damaging to your business. It’s not enough to stock up on goods that take up valuable warehouse space. You need to know exactly what materials should occupy that space, based on what customers are looking for on your online store. An ERP system will enable you to see this valuable information automatically, as it changes. This system can reduce human errors, automate inventory requirements, and ensure that you can do your job properly. Another benefit about using an ERP system is that it can optimize procedures and significantly improve response times. As a result, virtual communication across the supply chain and internal communication will be improved, which has a positive impact on collaborating across your business. These close collaborations can address and resolve problems in a timely fashion. A quick response to change is what customers are looking for. If you provide valuable information with satisfaction, you will do a better job at leveraging business opportunities. Aside from automation, an ERP system can also increase your efficiency. To improve your time to market, you can give your entire supply chain access to relevant information such as product deadlines, and shipping instructions. These can be provided in real time to your global locations, suppliers, customers, internal stakeholders, and more. There are endless benefits of using a single system to manage all your supply chain operations. Studies have shown that companies that implement an ERP system end up achieving greater operational improvements than those who don’t. If you want cost savings, increased efficiency, and a thriving company, an ERP system may be the solution you need. Working with a 3PL partner who provides these solutions can be a time-saving way for you to reap these benefits.